As President Trump was briefed on combating the nation's opioid epidemic in Bedminster, New Jersey, Gov. Chris Christie, Trump's pick to lead the administration's efforts on tackling drug addiction, was be missing the meeting because he'll be on vacation. NJ.com reports that while Mr. Trump held the formal meeting in Christie's home state during his 17-day "working vacation," Christie meanwhile, will be in Italy where he is vacationing for 10 days with his family. Seated at the briefing, Mr. Trump called the epidemic a "tremendous problem in our country", warning that "nobody is safe from this epidemic that threatens young and old, rich and poor, rural and urban." "I'm pleased to receive a briefing from our teams on ways we can prevent this, prevent people from using drugs in the first place. If they don't start, they won't have a problem. If they do start it's awfully tough to get off." Marking his final term in office, Christie has remained relatively quiet after his recent string of sports-related dust-ups, in which he confronted an angry baseball fan in Milwaukee, got booed at a Mets game for catching a foul ball, and argued with a constituent over the phone while co-hosting a local sports talk radio show. 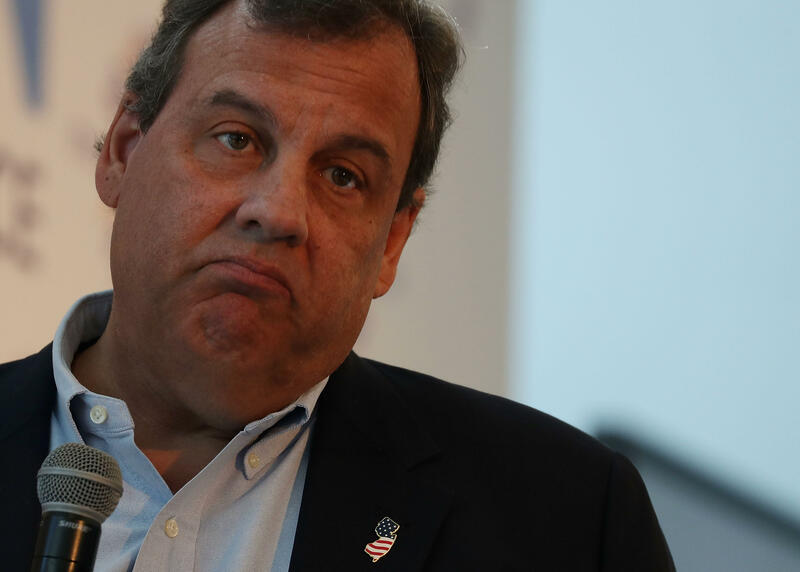 Christie, a supporter of the Trump campaign, was tapped by the president in March to chair the federal commission to combat opioid abuse, drug addiction and overdoses, which contributed to over 50,000 U.S. deaths in 2015. But so far, the effort has been off to a rocky start after the commission failed to make a deadline to file an interim report on the crisis for the second time back in July. After Tuesday's meeting, Health and Human Services Secretary Tom Price and Kellyanne Conway, counselor to the president, said Mr. Trump and First Lady Melania Trump are committed to the crisis, although they would not answer questions about why the president hasn't declared a state of emergency over the crisis. "The problem is very complicated and currently we are on the losing side of this war," Kellyanne Conway, counselor to the president, said, adding the administration is "confident" they can help those hurting. Conway said the opioid crisis didn't develop overnight, and won't be solved overnight either. The executive order set a deadline of 90 days, or June 27, for the commission to file an interim report outlining a federal strategy to combat the epidemic. The commission failed to issue the report before the initial deadline, announcing instead it would issue its interim assessment during a conference call on July 17. Can Christie put a dent in the opioid epidemic? While Christie was not be present for Tuesday's event, Mr. Trump was be joined by Health and Human Services Secretary Tom Price, Chief of Staff Gen. John Kelly (ret. ), Mr. Trump's son-in-law Jared Kushner and the First Lady Melania Trump who tweeted her support of the president's endeavor. During a previous White House roundtable event, Mr. Trump commended Christie's passionate speech during the 2016 campaign on drug addiction, applauding his efforts in helping tackle the crisis. "A great moment actually, if people remember, is you talking about your friend," Mr. Trump said, referring to a Huffington Post video of Christie speaking about addiction that went viral. "That was probably your greatest moment during your campaign for president and it showed how much you know about this issue." The administration is also taking steps in to combat the crisis through the legal system, with a new Justice Department pilot program that will prosecuting those who have fed the epidemic. The prosecutors will work in conjunction with the FBI, DEA, HHS as well as state and local partners on these prosecutions.